Posted on September 21, 2010 by Solver, Inc.
Companies looking for ways improve to business performance in today’s trying economic times need to have access to the right information to make better, faster, fact-based decisions. One way companies, like those using Microsoft Dynamics GP, can make the right business decisions is by starting to invest in the latest Microsoft business intelligence (BI) tools like Management Reporter, Office 2010, and SQL Reporting Services, according to Nils Rasmussen, CEO of Solver Inc., a Microsoft Business Intelligence partner. Speaking at a GP User Group webinar, Rasmussen said companies that invest in BI tools will drive employee productivity as well as performance and ultimately outperform their competitors. However, Rasmussen said BI tools can’t do much good if companies don’t know how to properly take advantage of them. 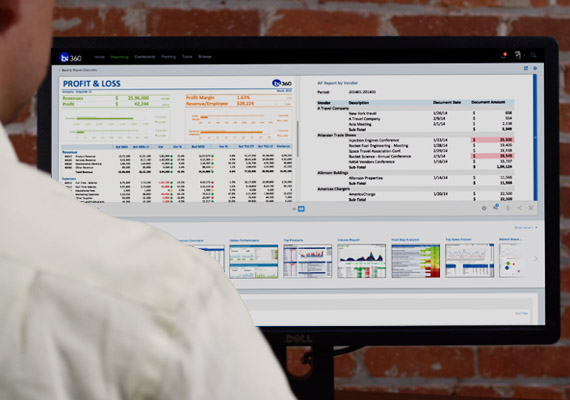 Every aspect of business performance from formulating an initial strategy through budgeting, resource allocation, forecasting, reporting, scorecarding/dashboards and analysis, has the potential to utilize BI tools to help organizations gain a competitive advantage and improve business efficiencies. Rasmussen detailed the Microsoft BI technologies that companies, especially smaller to mid-market companies running Dynamics GP, could use to improve their business processes. PowerPoint, especially the latest version in Microsoft Office 2010, can help map the tactics and goals of a company’s corporate strategy, he said. And Microsoft’s new Management Reporter, which is replacing Forecaster, and FRx, Microsoft’s financial and reporting analysis software, are both good tools to use to store and manage KPI (key performance indictor) targets like revenue or customer satisfaction scores. ISVs offer a variety of tools for managing KPIs, and companies that want to keep things simple, can also organize their KPIs in Excel, he said. Today, companies can use the Forecaster and FRx software for budgeting, but because those tools are going away, businesses should really think about implementing Management Reporter, which will be Microsoft’s budgeting and forecasting tool beginning around 2012, he said. Rasmussen said Microsoft is also promoting SQL Reporting Services for report writing, especially for sub ledger reporting on GP as well as any other SQL database. However, Rasmussen said the drawback to SQL Reporting Services is that it’s still a technical tool and companies would need an IT person to write the report instead of a business person, which would be the case with FRx and Management Reporter. Data warehousing is also a very important capability that ought to force small to mid-size GP customers to think about the data beyond the GP database. Another tool for data warehousing is Microsoft’s new PowerPivot. But Rasmussen said the key tool that Microsoft is pushing is Management Reporter, mainly because it uses an intuitive approach to report design, a new architecture with 64-bit support and a familiar user interface-and business users can create their own reports with the help of an IT person.